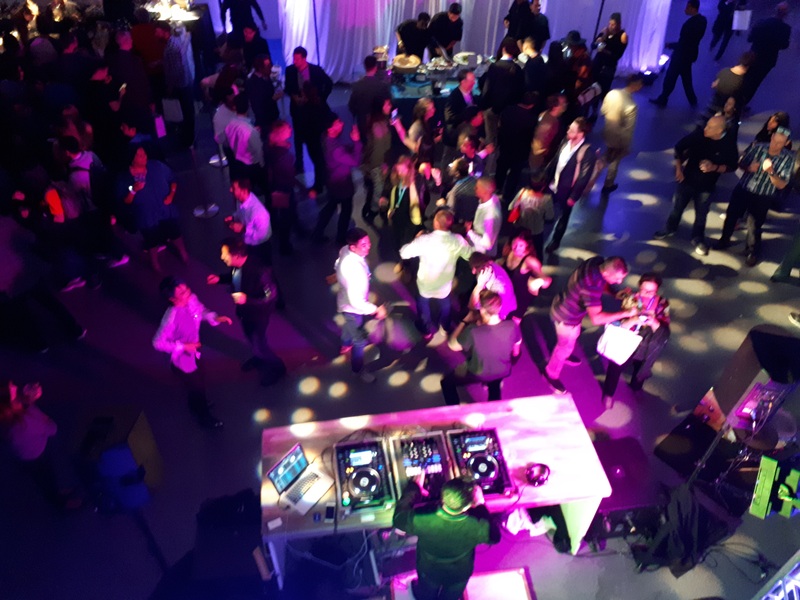 For the leader in CRM industry, it requires at least an event of this size: Dreamforce, the largest software conference in the world with about 171,000 participants. The event takes place in San Francisco every year since 2003, just steps from the "Salesforce tower" which was being finalized. For the 14th edition, the principle remains the same. Everyone was waiting for the famous keynote of Marc Benioff, the iconic CEO of Salesforce. In addition to seeing the silhouette of the character on a 360° stage, it is also a good opportunity to take note of this dreamforce season key points, #DF17! Marc Benioff came back on his success story. After stopping his mission at Oracle, he took a break to ... Hawaii. It was then that he had the idea of Salesforce. We better understand where this theme comes from! Note that Ohana means "family", by analogy with the Salesforce community. At Salesforce, it has become a habit to start with a presentation slide on technological breakthroughs. This is an opportunity to put the firm's innovations in context. Today we are in the 4IR (Industrial Revolution) and the key word is "intelligence". With new technologies such as artificial intelligence, the Internet of Things (IoT) and robotics, everything is accelerating. Like the new Einstein product, everything has to go faster and easier. 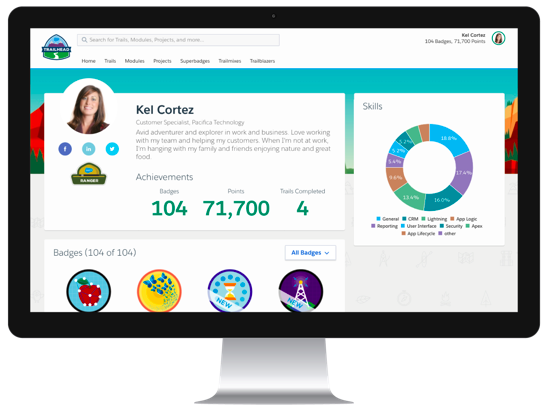 The idea behind Einstein is to automatically cross a lot of data to help you make the right decisions in Salesforce. 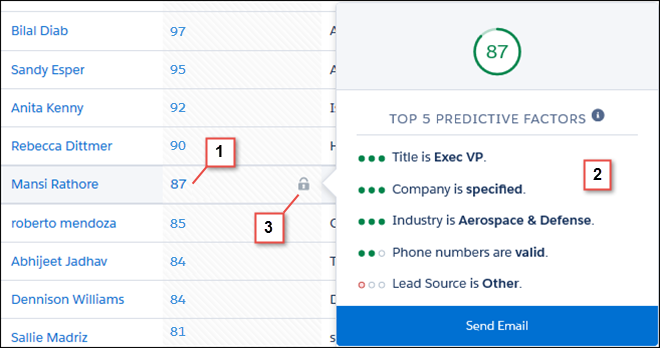 For example, the Einstein Lead Scoring feature allows you to automatically sort leads that are most likely to be converted to a customer. 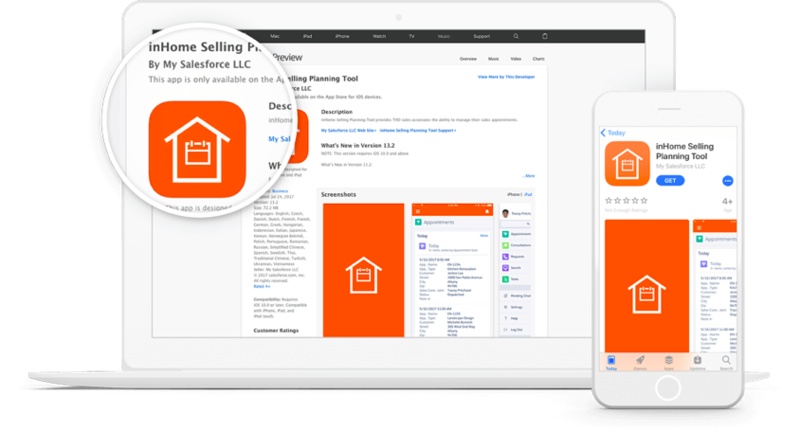 This service gives businesses the ability to build a custom, Salesforce-based mobile app. mySalesforce will also make it easier to deploy the app to the App Store and Google Play. This service will be available for companies with Sales Cloud, Service Cloud, Community Cloud or Salesforce Platform customer. mySalesforce will be available from December 19, 2017 as an add-on platform service to Sales Cloud, Cloud Service, Community Cloud or Platform License, with a price starting at $ 25 per user per month. This new service is interesting. It puts the training provided by Salesforce at the heart of the business. The exercises are customized according to each client to provide more targeted and effective training. This service marks a major breakthrough to help businesses maximize the adoption of Salesforce across all the organization. The myTrailhead price has not been released. With this offering, Salesforce wants to help companies succeed in their IoT projects. 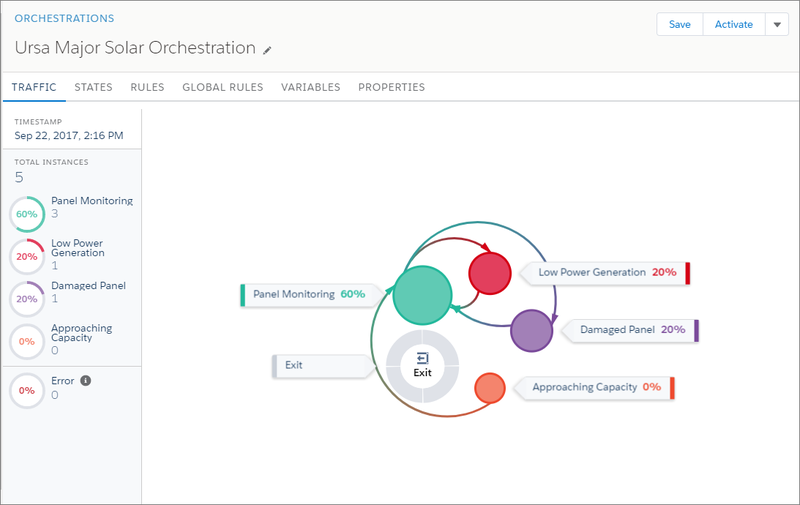 The idea behind myIoT is to give organizations the ability to easily create workflows with an interface similar to Process Builder, which is called Salesforce IoT Explorer. Salesforce IoT Explorer is available as a platform service, priced from $ 6000 per month for customers with one or more enterprise licenses. This is only an improvement of Lightning Experience. myLightning offers the ability to customize the Salesforce interface to align it with the corporate identity. myLigtning is free and will be available from early 2018. 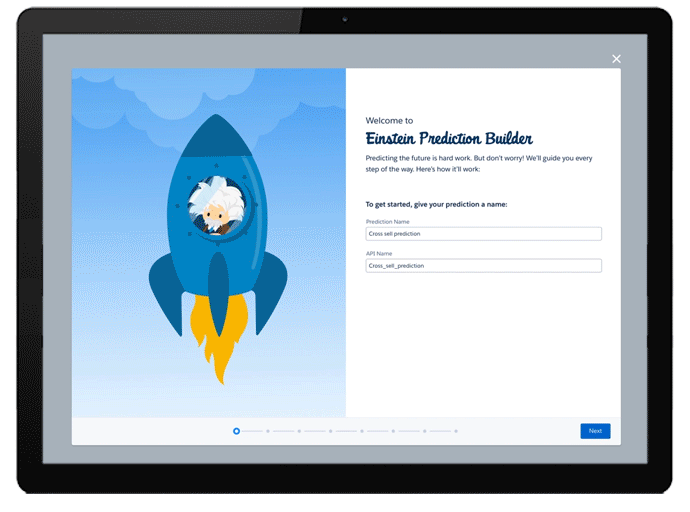 Einstein Prediction builder: Easily build custom predictive models by combining the power of Einstein with the company's specific data. 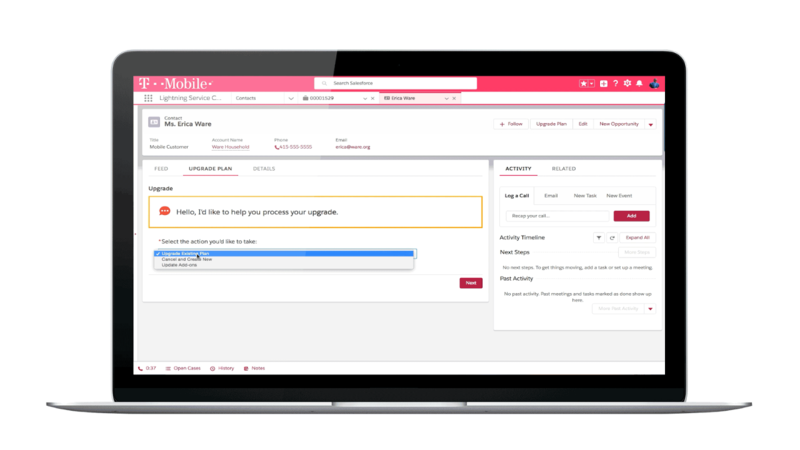 Einstein Bots: Create chatbots to help customer service respond quickly to the most common questions. The created chatbot evolves automatically to provide more and more precise answers. Price and availability are not communicated. Salesforce will use Google Cloud Platform as the infrastructure to provide these services. For information, Salesforce also has a similar partnership with Amazon Web Service since 2016. Integration of Google Analytics 360 and its data within the Marketing Cloud to centralize information for Marketing. Sales data from the Sales Cloud will be directly available in Google Analytics 360. This allows the marketing team to focus on more targeted and effective ad campaigns. Lightning and Gmail: Gmail data will be available in Salesforce and vice versa. The benefits of this integration are suggestions for actions based on email content. Priority emails will also be identified. Many stars have been invited to the event as will.i.am who came to talk about his startup i.am + or Michelle Obama to talk about equality (and that's important!). For the Dreamfest, we also had the opportunity to meet with 2 well known guests : Lenny Kravitz and Alicia Keys, who believed in being at New York. The AT & T Park of San Francisco was crowded and the evening very “living-up”. More personally we participated in ABM Fusion nights at MOMA (pictures above) and MapAnything at Verso. Between food, cocktails and shows we enjoyed so much! Note the Traction On Demand happy hour at the Swig Bar which was worth the detour for the meeting with the integrator as for the bar (and his cocktails on a jazz band background). It's decided: next year, we'll go back!